Safe & Secure Shopping. Gear & Advice You Can Trust. Down Under Dingo King Single Traditional Canvas Swag. Add to Favourite Sellers. Australian made, the Down Under Dingo KS swag now uses a 70mm “Ripple” high density premium foam. This unique computer cut high density foam creates a soft surface & firm base. Thinner at the foot so that the bulk of the foam is under the torso, they fascilitate comfort & rolling & minimize bulk. Rotproof mattress covers are elasticised for ease of removal & cleaning. It also has Dust flaps – seals end when rolled which protects the swag. Comes with Zip-up Finetex midge proof fly screenmesh and also very light at approx 6.4kg. The Swag includes an uprightfoot support or canbe pegged at the base and tied off at the top, this allows canvas to be elevated off the body at head end. It is king single in length at 2130mm or 2500mm including extension head flap. The canvas has exclusive 100% cotton canvas in 15oz & 17oz proofed re-enforced TearCheck canvas with exceptional breathability & suppleness. 15oz fabric for tops of swags is re-enforced with high tensile cotton TearCheck while 17oz fabric in bases is re-enforced with polyester TearCheck. Comes with foot support pole inlcuded. Down UnderSwags by the Jolly Swagman are one of the oldest and most trusted swag designers in Australia, testing and using their products in the harsh country for decades. Zips down one side Waterproof TearChecktm re-enforced Cotton Top 15oz cotton TearCheck – Base 17oz polyester TearCheck Canvas Dust flaps – seals end when rolled Generous foot room Zip-up Finetex midge proof fly screen mesh Mattresses are exclusive “Ripple” foam. Rotproof covers are elasticised for ease of removal & cleaning. Washable mattress cover Self repairing heavy duty No. Zips are water repellant & self repairing spiral No. Mesh super strong sandfly proof “FineTex” TM Buckles are military strength quick release style Straps polypropylene 38mm buckles & straps. BEST BRANDS & PRICES. There are plenty of discount operators out there, but all you get from them is a cheap price and nothing else. If it’s just a price you’re after these guys might be for you, but if you’re after a service orientated company that won’t sell any other way then welcome to our store. 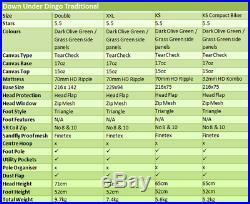 Our cheap postal prices are live up to date prices with Australian post or courier. Our website is state of the art safe and secure, using a 128 bit SSL encryption protocol, the most secure online-shopping protocol. Unfortunately we DO NOT accept EFT direct deposit. If your item is a double swag or over 20kg parcel must be sent via courier and a daytime street address is required – NOT A PO BOX. Express and regular options are available for most items. All item prices include GST. All payments made payable direct to’Wild Earth. While all care is taken, any errors or omissions/variations in the item details are unintentional. Colours and images are for illustrative purposes and can vary so please specify when ordering if you require a specific colour otherwise an alternative colour may be sent depending on stock availability. WILD EARTH AUSTRALIA PTY LTD reserves the right to make changes to this site and these terms and conditions at any time. From time to time we may contact you about offers and new products. You can easily be removed by unsubscribing. For full terms and conditions please visit here. We are here to help you! The item “Down Under Dingo King Single Traditional Canvas Swag” is in sale since Thursday, May 3, 2018. 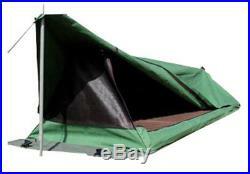 This item is in the category “Sporting Goods\Camping, Hiking\Tents & Canopies\Canopies & Shelters”. 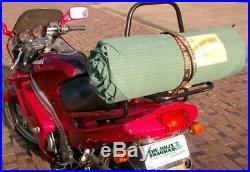 The seller is “wildearth-australia” and is located in Gold Coast. This item can be shipped to Australia, United States, United Kingdom, Canada, New Zealand. This entry was posted in dingo and tagged canvas, dingo, king, single, swag, traditional by admin. Bookmark the permalink.